Ethan Russo, MD is a board-certified neurologist and world-renowned cannabis researcher. He holds the position of Medical Director at PHYTECS, and recently became the Director of Research and Development at the International Cannabis and Cannabinoids Institute (ICCI). In addition, he has served on the Board of Advisors for the American Botanical Council for > 6 years. He is Past President of the International Cannabinoid Research Society, and former Chairman of the International Association for Cannabinoid Medicines. 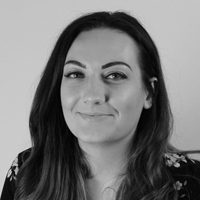 Laura Lansdowne (LL): How important is it to determine the components within the cannabis plant - beyond just the cannabinoids? Ethan Russo (ER): I feel that it is crucial for cannabis consumers, whether medical or recreational, to have proper complete analyses of cannabinoid and terpenoid content available, and that these should be mandated for commercial sales. It is only in this manner that correlations to benefits and side effects can be made, and the quality and consistency of the cannabis can be documented. 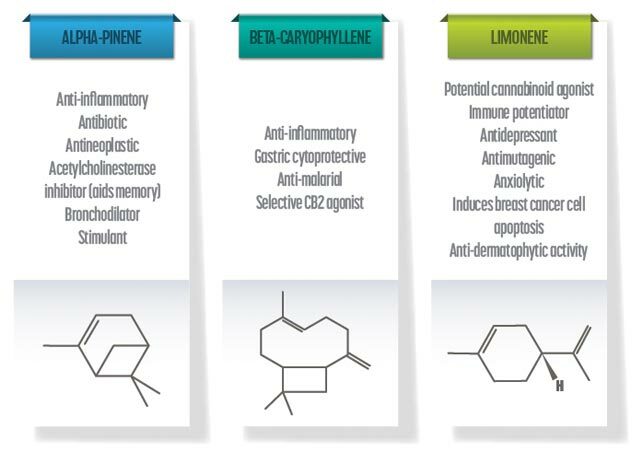 LL: Terpenoids are the refined aspects of cannabis that give each chemovar its unique attributes. Could you give us some examples of these attributes and the specific terpenoids responsible? ER: There are many examples. Alpha-pinene reduces or eliminates the short-term memory impairment produced by tetrahydrocannabinol (THC), and this may be extremely important for medical consumers that need to work or study while they are treating their condition. Beta-caryophyllene contributes analgesic and anti-inflammatory benefits without contributing to psychoactive adverse events. Limonene can produce prominent anti-depressant and mood modulating effects. LL: Is there much evidence to support synergistic phytocannabinoid-terpenoid effects? ER: It is clear from studies in animals and humans that terpenoids have prominent physiological effects despite their low concentrations. A research project to quantify these phytocannabinoid-terpenoid synergies in objective tests in humans is currently underway and will hopefully provide more compelling evidence. LL: Terpenoids can be found in additional locations within the plant, besides the trichomes. With so much attention focused on those located in the unfertilized female flower, are we perhaps ‘missing a trick’ and neglecting potentially promising terpenoids in other locations within the plant? ER: The unfertilized female flowering tops of cannabis are the undisputed prime source for pharmacologically active mono- and sesquiterpenoids. There are smaller trichomes on the cannabis leaves and stems, but they produce much lower terpenoid concentrations and ones that are distinctly different favoring bitter sesquiterpenoids that help dissuade predations by insects and grazing animals. As to other parts of the plant, there are very interesting anti-inflammatory and anti-cancer effects produced by triterpenoids from cannabis roots. Cannabis roots have traditionally been used in many cultures around the world to treat inflammation and tumors. This is supported by the presence of friedelin, a triterpenoid in cannabis roots that has clearly demonstrated the ability to reduce inflammation in a wide variety of laboratory and animal experiments, and to reduce growth of cancer cells. LL: Cannabinoids have undergone considerable investigation, to determine their pharmacological effect and therapeutic effects. In your opinion, should more research be directed towards the therapeutic potential of terpenoids? ER: Yes. The terpenoid fraction is what helps determine the distinct effects and character of various cannabis chemovars, and these deserve much more research attention and efforts at selective conventional breeding. Ethan Russo, MD, was speaking to Laura Elizabeth Lansdowne, Science Writer for Technology Networks.